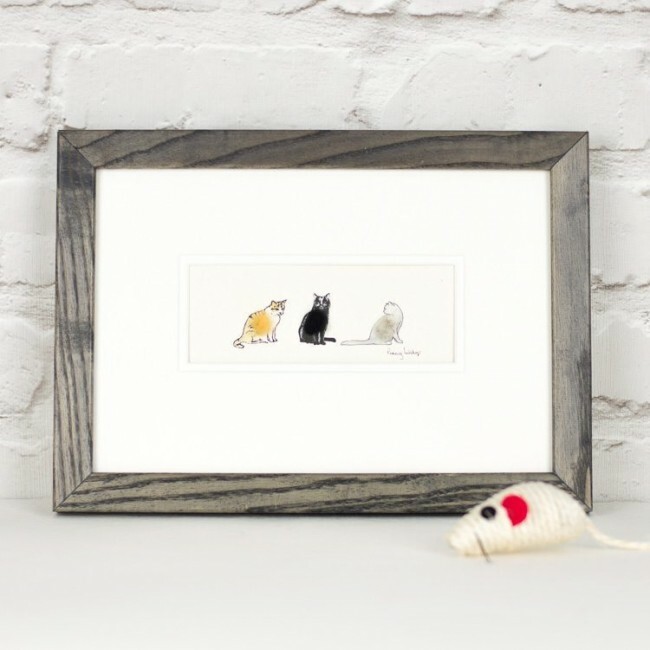 Our gorgeous cats print with 3 fluffy cats is a dream gift for all cat lovers. What a lovely present for a friend who loves cats. We hand finish each cat with a puff of sheep's wool, using different colours for the different cats. This adds a gentle touch of humour and an added 3D touch to the artwork. It is a simple design that makes people smile, and we love to make people smile. 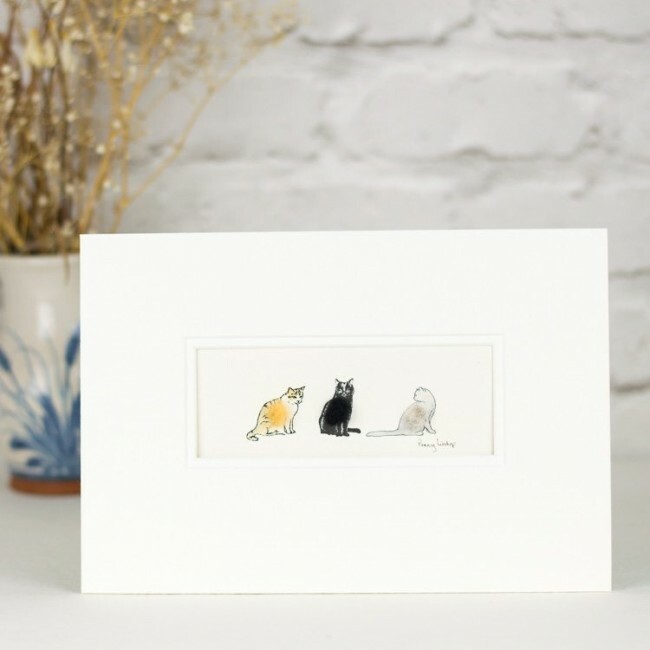 We have put together a marmalade, a black and a blue cat for this particular print. Here at Penny Lindop Designs, we are very happy to personalise this print for you. 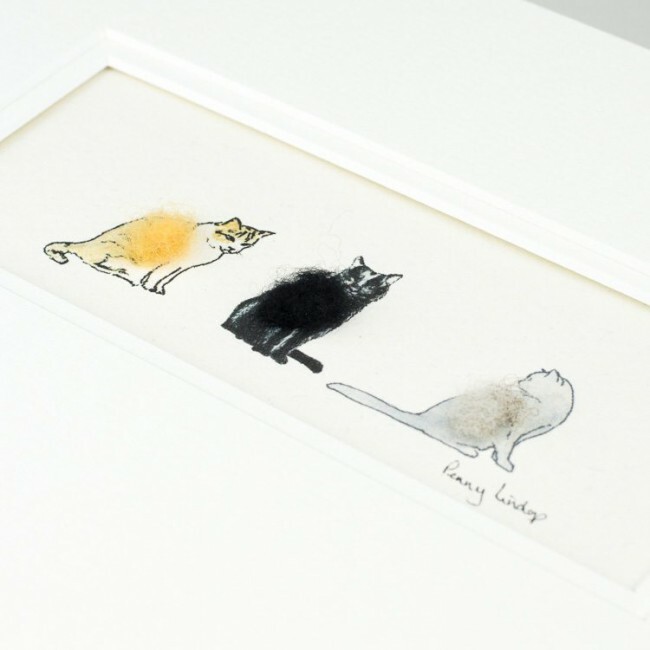 We hand write the text beneath the cats, in pencil. Printed on acid free archival quality paper made in the UK, and mounted in a conservation quality double mount. A double mount really adds an extra touch of quality to the finished artwork. Mounted print size; standard A4, 297 x 210mm. 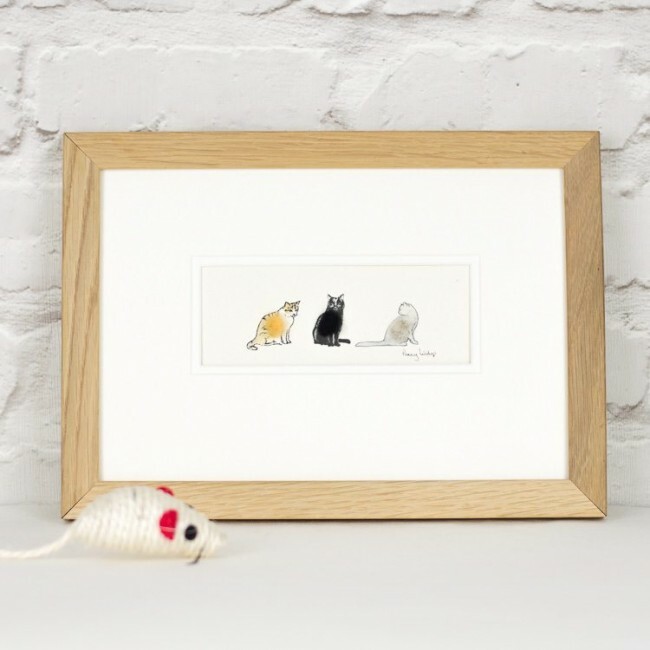 This is an easy to frame size to purchase in the shops, but if you would like us to finish your gift for you, we would be more than happy to frame it for you. We offer a natural oak or a grey stained ash frame. We frame to a high professional standard, with the back taped up and strung ready for hanging.